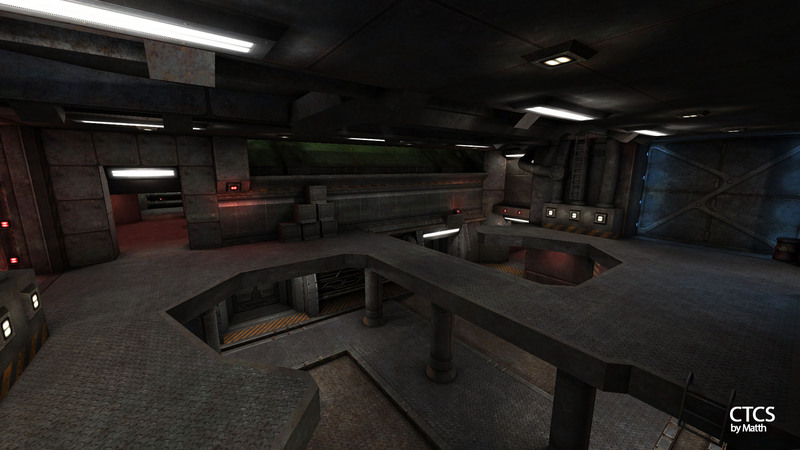 Remake of UTCS for Unvanquished. Last edited by Matth on Sat Feb 04, 2017 11:43 pm UTC, edited 9 times in total. Hi Math, it's a nice map ! My server is already hosting it and the map is callvotable, I put it in the rotation map. This is a mirror. I added a navmesh sidecar for bot navigation keeping the original pk3 untouched. I've seen you compressed lightmaps in jpg, do you know you can use lossless webp for that purpose? It's the best choice for lightmaps (lossless, strong compression) since lightmaps can suffer a lot from compression artifacts. I didn't know that. I will convert the original .tga lightmaps to webp then . Can i inlcude your navMeshes in the next release of CTCS? Uh, I nearly forgot about UTCS. Screenshot looking good, need to acquire some time to test it. Making good use of the new texture packages it seems? Matth wrote: @illwieckz: Thank you! Yes of course, but if you change the layout you must remake them… You can use daemonmap to generate navmeshes from bsp. Last edited by illwieckz on Sun Jan 22, 2017 2:14 am UTC, edited 1 time in total. New version released. Please see first post. Viech wrote: Uh, I nearly forgot about UTCS. Screenshot looking good, need to acquire some time to test it. Making good use of the new texture packages it seems? Thanks Viech! 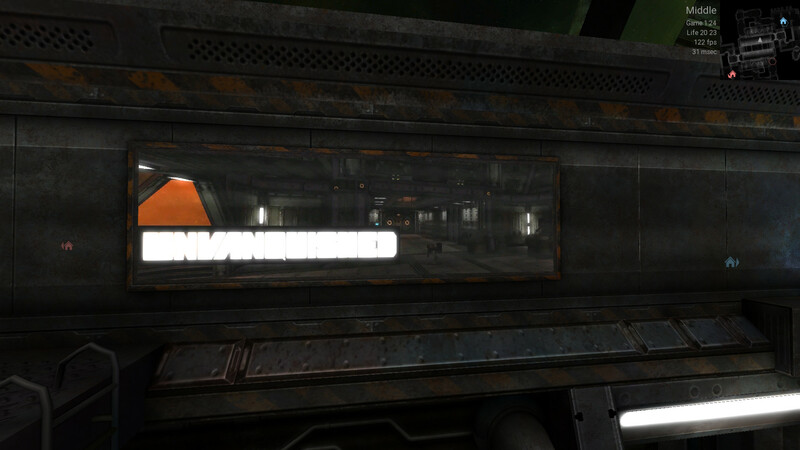 Yes, i mainly use unvanquished stock textures, which are awesome. illwieckz wrote: Yes of course, but if you change the layout you must remake them… You can use daemonmap to generate navmeshes from bsp. nice! I updated the map on my server. Just wanted to say hi, I'm the guy who made UTCS back in the Tremulous days.